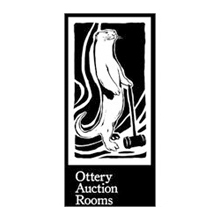 Ottery Auction Rooms was established in 2013 in Ottery St Mary, East Devon, by David Sumner and his partner Sue Telfer as a family run independent auction rooms rooted in traditional values of a friendly and reliable service. David Sumner, the principal valuer has had over 15 years directly in the antiques trade, both as an auctioneer and valuer and as an antique dealer but also comes from a family of antique dealers, auctioneers and antique collectors so he has been steeped in the trade from an early age. The business not only serves the South West of the UK but also attracts worldwide interest from customers that are able to bid online. Ottery Auction Rooms has a number of specialist consultants on hand in order to cover all areas of the world of antiques and collectables. At Ottery Auction Rooms we undertake Written Valuations and Inventories for Probate, Insurance, Family Division, Private Treaty Sale and Taxation purposes. We carry out this work for Private Clients, Solicitors and Commercial Organisations. Valuations can be for a single item to complete house or business contents. We can photograph the principal pieces, or full collections, should it be required. Fees are based on an hourly rate and estimated in advance. Please Contact Us if you need to arrange a Written Valuation. We also give free verbal auction valuations, these can be arranged at the auction room or on site. If you would like to know more about our free valuation service please contact us. At Ottery Auction Rooms we offer a sensitive and flexible House Clearance service to Executors of Estates and people who are down-sizing. We are able to handle complete or part estates, carrying out full house clearance with an ethical recycling policy for all unsaleable items. Please contact us for a free House Clearance Estimate.